How 'bout some free goodies? 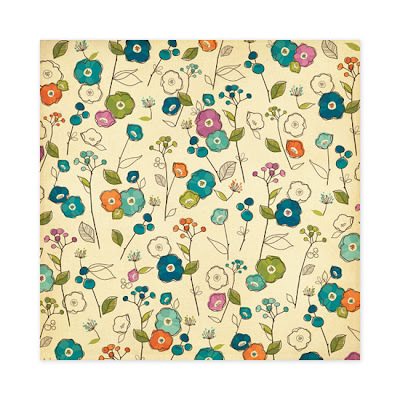 These two 8x8 paper pads from Cosmo Cricket are super cute...and they could be yours! 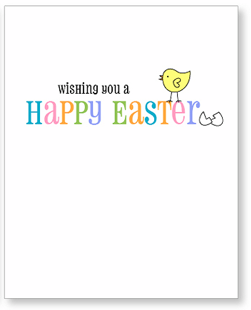 Leave a comment here sharing your plans for Easter weekend by Thursday, April 1st, 11:59 p.m. CST and random.org win choose a winner on the 2nd! Be sure to come back to see if you've won! I check out the 'brand new' sections at my favorite online scrapbooking stores frequently and on my most recent trip to Two Peas, something really caught my eye. 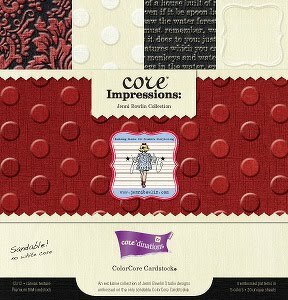 I know that embossed cardstocks are not entirely new (think Bazzill Dotted Swiss), but there is just something wonderful to me about these new designs from Core'dinations/Jenni Bowlin. 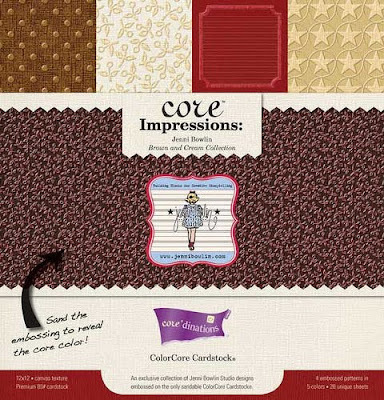 From what I can tell, each pack includes four designs in five different colors for twenty sheets total. This pack has some great neutral colors and I love the star pattern. Always a fan of red, black and cream...and honestly, I don't see a pattern here that I don't like in this pack. 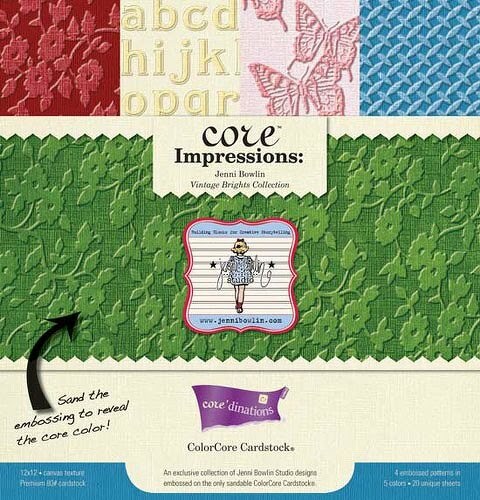 Which is your favorite embossed cardstock pack of the three and why? The last few days have been WONDERFUL!! We're finally getting to enjoy some spring-like weather after a VERY LONG winter! So, soon I'll have some spring photos to scrap and there are plenty of pretty papers that will help me get the job done. 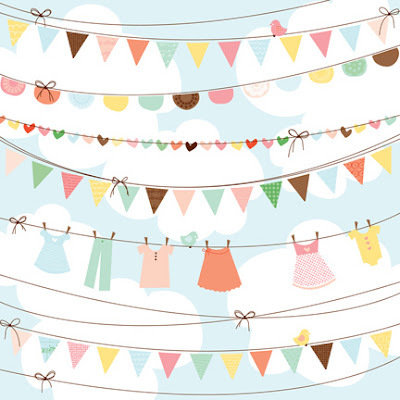 This banner-ful pattern with glittered accents is just lovely. If only I had a clothesline to hang some laundry on! These bright flowers are just the ticket! 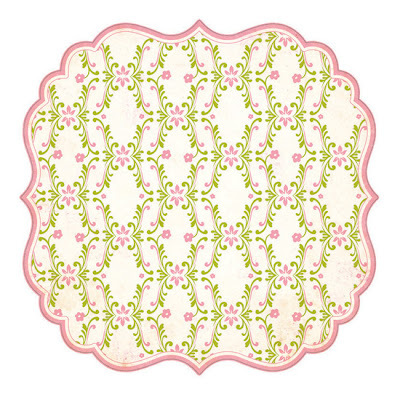 I love how the 'layered' blooms give the pattern a bit of a 3-dimensional feel. The varnish accent on these flowers give their watercolored appearance even more flair. 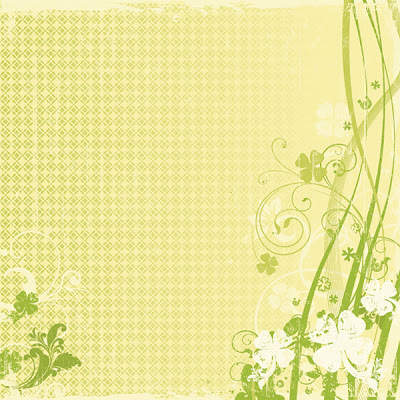 Again, there is a very 3-D feel to this pattern as well with the various layers of soft, spring colors and mask-like effects. 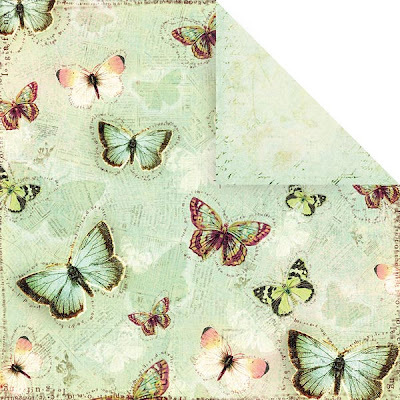 What collection of springtime patterned papers would be complete without some butterflies? Certainly not this one? For more great scrapbooking product picks for the spring season, check out the additional items listed in the right sidebar. 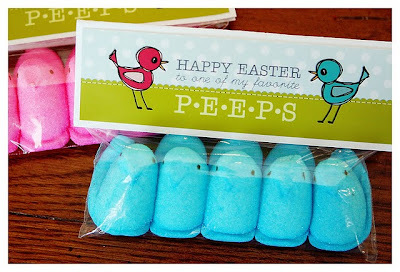 What is your favorite new line of spring-themed papers? Kaitlin was cast as a Dixie Chicken in the Yankton Children's Theatre Company production of Wonderland: The Musical Misadventures of a Girl Named Alice back in January and there have been many, many hours of practice, preparation and productions ever since. They just finished their seventh and final show on Sunday and it was a great experience as always. However, when it was all over, I think both Kaitlin and I were feeling a little exhausted! For a little treat during the first weekend of the show, I took Kaitlin to Alice (the movie with Johnny Depp). It was a great! We both LOVED it! We've also recently been quite in love with the song Alice by Avril Lavigne...we got the movie soundtrack from Kaitlin's director (thanks, Allison) and we listen to it on the way to school, on the way home from school and any other time we're in the car together!! We both have it memorized. Kaitlin is only seven and yet we often like the same songs...a lot. Is she following my musical taste...or am I following hers? Who knows! How do your musical tastes compare with those of your kids? What do you make of this? No chart today, but you may very well see further comment from me in the near future on this issue. Today...we'll get right to our lucky winner of a free download of UR2 Cre8ive: 68 Playful ways to Unleash Your Creativity by Stacy Julian published by Ella Publishing! Check your inbox...details on how to claim your prize are already waiting there for you. For the rest of you that would like to get your hands on the great tips and inspiration included in UR2 Cre8ive: 68 Playful ways to Unleash Your Creativity, don't deprive yourself! The download is only $5.99 at Ella and hardly something that will break the budget...but it might just cause a flood of creativity! UR2 Cre8ive: 68 Playful Ways to Unleash Your Creativity by Stacy Julian is the latest and greatest eBook from Ella Publishing Co. 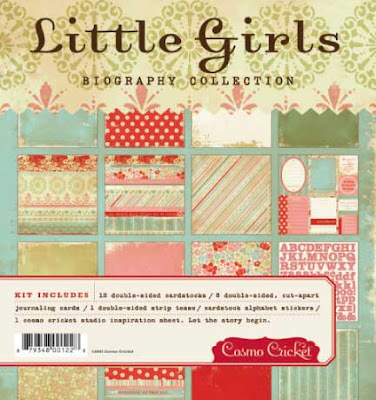 It's not quite your traditional scrapbooking idea book filled with sample layouts and other projects, but strives to dig a little deeper into the little thing that drives so many of us to pursue this hobby in the first place - CREATIVITY. In the introduction, Julian says, "I believe creativity breathes energy and wonder into the everyday. It can change the way you think about yourself, brighten your outlook on life, and offer you a fuller and more purposeful existence." Through this eBook, Julian strives to help the reader find their source (or sources) of inspiration and offers activities to enhance our level of creativity for the benefit of our craft. The book is de\ivided into 4 chapters. This chapter helps you to recognize the creative being inside yourself and offers fun ideas for expressing and enhancing your creative self. This chapter helps you to find ways to open yourself up to the creative sparks that surround you everyday...many that you may be missing. Julian introduces the four steps to creativity - preparation, incubation, illumination and verification - and the order in which they must happen for optimal creativity. She also discusses the roll of patience in the creative flow. 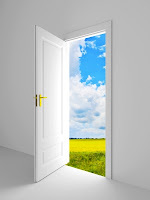 In this final chapter, Julian offers tools to help you "let go of inhibition, expectation and any other artificial boundaries that stand in your way." Each chapter includes a 'Try This' section at the end with several ideas for activities to help solidify and enhance the concepts discussed in the chapter. The eBook is also filled with 11 great quotes on creativity. A few I had heard before, but many were new to me and you know how much I love quotes! 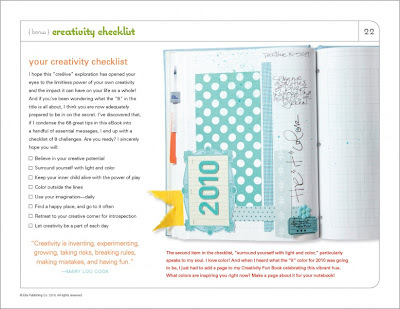 Julian ends with a creativity checklist that summarizes all the tips contained within the book into 8 simple challenges. Check them off one-by-one and discover that UR2 Cre8ive!! Here's an color prompt for you. 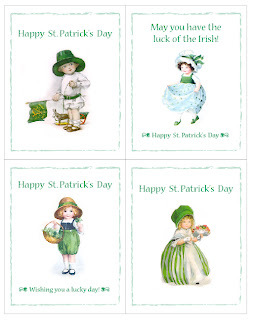 How about taking a cue from the Irish flag today in honor of St. Patrick's Day and create a project using these colors? 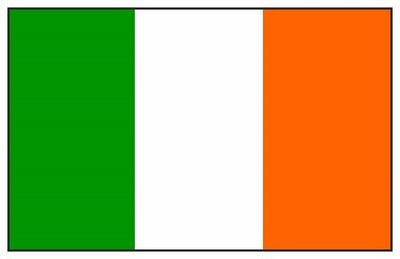 As you know, creating a good color balance can sometimes be difficult, so where you won't want to follow the lead of the Irish flag is in the proportioning of the colors. Using all three colors in the same amount would not make a balanced project. However, there is an easy way to avoid this issue. Challenge yourself to follow the quart-pint-ounce theory. Basically, you choose one of the three colors to be your dominant color - most likely your background. Then, you choose one of the colors to be used in lesser amounts and support your dominant color. Perhaps this could be a strip of pattern paper across your page or a block to serve as a mat for you photos and other page elements. The last color - the 'ounce' - is used the least, but is just as important as it adds 'pop' and balance to your project. This could take the form of your title letters or other small page embellishments such as brads, buttons or flowers. Have you heard of the quart-pint-ounce theory before as it applies to scrapbooking and other crafs? If so, is this a theory that your regularily utilize when crafting? If you like this creativity prompt, you can other color prompts and much, much more by downloading my free montly creativity prompts! 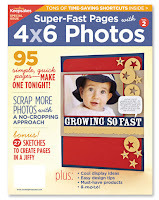 Thanks for all the interesting comments to the recent giveaway post for a free copy of Super-Fast Pages with 4x6 Photos 2 by Creating Keepsakes. Personally, I know my usage of standard 4x6 photos has fluctuated over the years, so I had to go back and look at the last few years of my layout image folders to see how it really stacked up. 2008 was a good year for 4x6's in my scrapbooking, I guess. Overall, my percentages are pretty low, which surprised me a little for 2007-2008 because I printed most of my photos 4x6 back then. However, I discovered that I also used 5x7's and significantly cropped 4x6's more than I initially thought. I am not at all surprised by my 2009 percentage however as this was the year that I discovered the collage feature in Picasa and I LOVE it!! It's a great way to include a bunch of photos all on one layout. I print collages in various sizes - 4x6, 5x7, and 8x10 - depending on my plans for the layout. Sometimes I leave the collage prints intake and slap them right on my layout (which makes for super-fast scrapbooking also) and sometimes I trim them apart so that I can get a little more creative (and less 'boxy') with my photo arrangements. Actually, there was NO ONE that said they never created layouts exclusively with 4x6 photos and the largest number of commentors fell into the 76% or more category!! Amazing! So, congratulations goes to Kinsey!! Watch your inbox, Kinsey, for further details on how to claim your prize. Before I leave you, I have two questions for you. 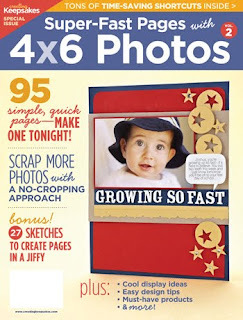 #1 - Over your years, have you seen a change in your use of 4x6 photos in your scrapbooking? Do you use them more? Less? Either way, can you pinpoint a cause for the change? #2 - Have you use the collage feature in Picasa? If so, do you like it? If not, would you be interested in a post including an in-depth tutorial on how to use the feature? 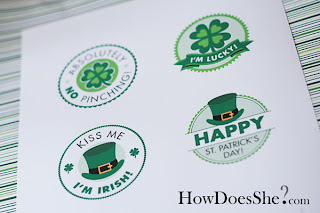 :FIVE FAVES: How Irish are you? 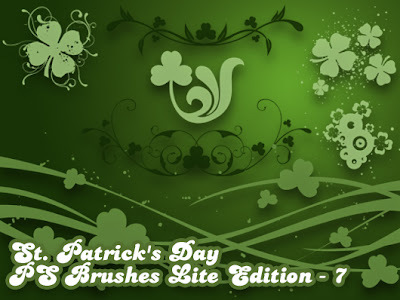 St. Patrick's Day is almost here. Do you have your green ready to wear? While it's not a holiday that you'll find oodles of specialized scrapbooking products for, it certainly isn't hard to find products 'green' enough to commemorate any memories or stories you might want to tell around this treasured holiday. Sometimes all you need is one line...especially if it's a good one. 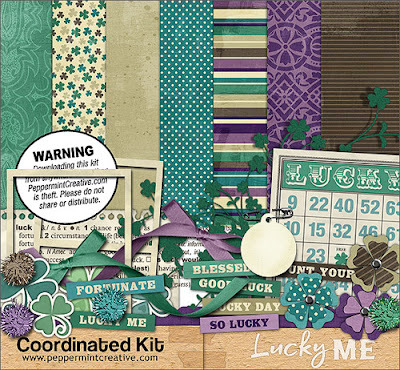 The Lucky Me collection by LYB is more than good, it's great! Plus, it's complete with papers, stickers, rub ons, ribbons and more! The sheet of paper above is my favorite of the collection and sports beautiful foil accents. Brads are one of my favorite little easy extras to add to layouts and sparkly ones are even better! Here's one route to a fast and fabulous layout. 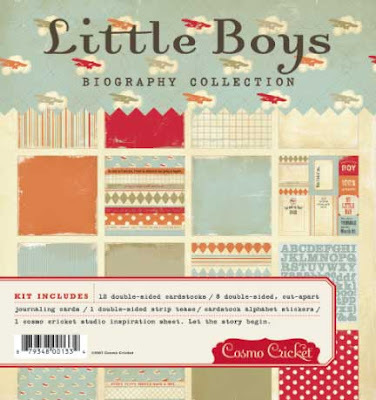 Take the guesswork out of your title by using this cute headline from Doodlebug! Gems are another great way to add a little sparkle to any layout. 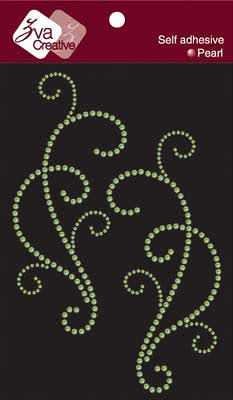 These lime-colored flourishes are just beautiful! I recently purchased a whole stack of this double dot paper from Bo Bunny and I LOVE it! One side has the dot pattern and the other side is solid and slightly distressed. While the dots are not actually raised (like Bazzill Dotted Swiss), it still offers the impression of texture and dimension! I posted a complete review of Super-Fast Pages with 4x6 Photos Vol 2 and hosted a giveaway back in Decemeber, but I still have one more copy to give away and thought it was about time that I got around to doing that. "What percentage of your layouts are created with EXCLUSIVELY 4x6 photos?" Just leave me a comment to this post with a percentage (between 0-100%) by Sunday, March 21st, 11:59 p.m. CST and you'll be entered for a chance to win some great inspriration!! 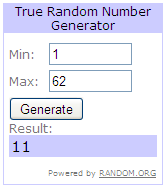 I'll let Random.org choose the winner and announce who that luck person is on Monday, the 22nd. 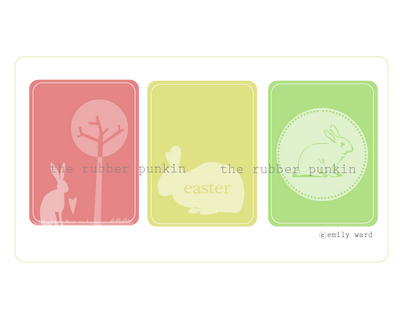 While this layout is super-simple, it's still one of my favorites of all my years of scrapbooking. Honestly, the pictures are even really very good. The lighting in our house isn't the greatest, so it's hard to get well-lit photos. However, the expressions on my Kaitlin's face as she read this book were just precious to me and really made me want to tell the story of her love of books and how her interaction with them was changing at the time. Her face in each of the photos follows the rule of thirds and the three aqua elements on the page create a visual triangle. You love books. You love stories. You have nearly two shelves full of books on your bookshelf and a couple more baskets filled with them as well. I began reading to you long before you could talk and although it sometimes gets busy and we don’t read together as much as we should, there are still many nights when we read two or three or four before the lights go out from your ever growing collection of books. Over time, though, some things have slowly changed. You are starting to ‘read’ to me…sometimes you’re telling it from memory from having heard a story so many times over or making up a story all your own to go along with the pictures of the book. Slowly, too, you are beginning to truly read as you are recognizing familiar words. It is certainly an exciting time for both of us as this new world of books opens up in front of you. 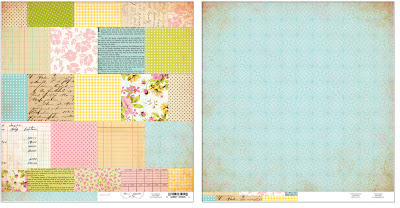 Lisa Pace is a well known name to those that love shabby chic, vintage style scrapbooking. 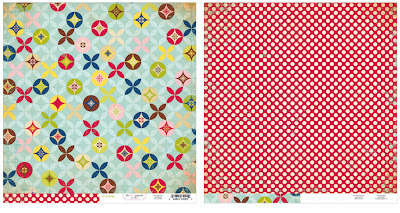 In Delight in the Details: 40+ Techniques for Charming Embellishments and Accents , she shares her expertise with all of us and gives us time-tested tips in achieving a bit of vintage flair on our own pages. "I wanted you to have something a bit unexpected with every turn of the page," wrote Pace in the introduction and she most certainly delivers. Even the cover fits the theme. Not only are the featured projects stunning, but while most of the cover has a matte finish, the projects are featured in a glossy finish which highlights depth and texture before you even open the book! The book is comprised of five chapters plus a gallery at the end. Pace showcases her own inspiring creative space and offers a few of her favorite storage and organizational tools - most of which gives you the sense of browsing through an up-scale antique shop. 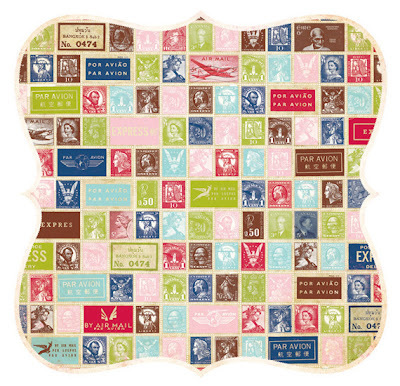 These are two things that shabby chic, vintage scrapbooking cannot be without! Pace offers ideas for every level of scrapper from something as simple as edging elements with glitter glue to creating delicate wire sprays with beads and charms. This chapter includes ideas such as accenting elements with chalk ink to add dimension, creating faux porcelain flowers and a simple technique that achieves the look of a ceramic tile mosaic. 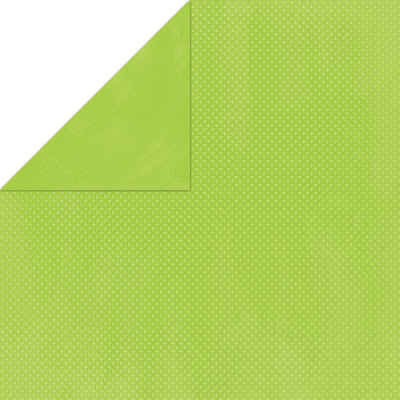 In this chapter, you'll learn how to create custom decorative edged papers which are all the rage right. There are also several techniques shared that have me looking at crepe paper in a whole new light. It's NOT just for birthday parties and kid's crafts! I also finally learned how to make those sweet little french knots! Techniques such as creating a vintage-style brooch or rosettes with paper and how to make pipe cleaners look elegant are shared in this chapter. Twelve more projects are shared featuring a combination of techniques from throughout the book. In all, there are 22 layouts, 47 cards and tags, and 29 other projects (such as ornaments, album covers, home decor, gifts, etc) are featured in this idea book. Plus, Pace doesn't present a technique and then leave you hanging. With each project, a complete supply list is included along with step-by-step instructions in both words and pictures to be sure that you know exactly how to master the technique. More Delightful Details - These suggest additional ways to variate the techniques presented to make them your own or help you use them on more projects without it getting 'stale'. Every Last Detail - These offer hints and tips for making the techniques easier or a little less messy. In general, this book is best for those that LOVE depth and texture on their projects and aren't afraid of final projects that might not fit nicely into a page protector or envelope. The techniques presented in this book will make your creations a feast for the fingers as well as the eyes!! If this sounds like your style - or a style you'd like to do some experimenting with - I encourage you to check out Delight in the Details: 40+ Techniques for Charming Embellishments and Accents by Lisa Pace today! 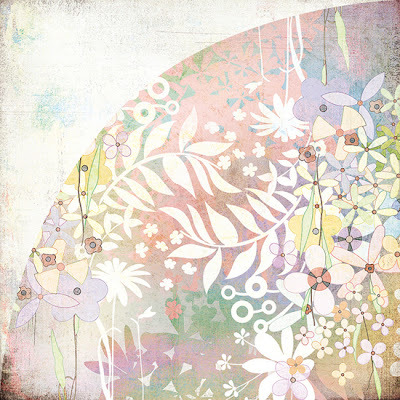 :MEMORYWORKS EXPRESS: March 2010 Kit - "Delightful"
It is that time of the year when the last days of winter are leaving us and our thoughts are turning towards a delightful spring time! Please help us to welcome our new March MemoryWorks Express kit...Delight! You can take pure pleasure in this month's fabulous, fresh, fun and enchanting theme. 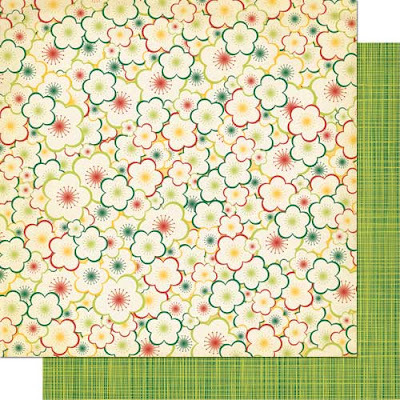 Delve into the delicate blossoms, dots and springtime possibilities in beautiful yellow, pink and green pastels. Packed full of embellishments, patterned paper and brand new cardstock this kit is sure to enrich your soul and delight your heart! Check out some of the beautiful projects that the MemoryWorks Design Team has created with this wonderful kit! You can find more details in the March 2010 Idea Express PDF download including three exclusive PageMaps sketches!